Moving an online business from the digital space into the brick and mortar arena can make for a bit of a culture shock. However, with a great marketing strategy, Sugarfina has made the transition as sweet as possible. Sugarfina was founded in 2012, after Rosie O'Neill and Josh Resnick saw Mel Stuart's 1971 film Willy Wonka & the Chocolate Factory on their third date. Their imaginations were captured by the picture, and they soon began talking about why there was no candy store specifically aimed at grown-ups. After some market research, they realized there was nobody else in the US filling this need, and it wasn't long before the boutique company set up in Los Angeles, selling sweet treats such as Champagne Bears, Birthday Cake Caramels, Rose Roses, and Tequila Grapefruit Sours - products aimed squarely at an adult market. To date, the company has raised over $50 million in growth funding and has more than 24 retail locations across the US and Canada. 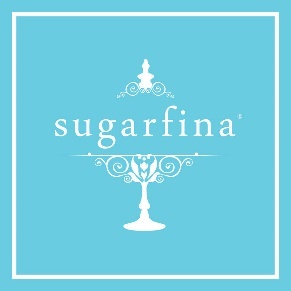 In 2016, Sugarfina achieved revenues of $25 million. Sugarfina was (as far as it's aware) the first candy retailer to successfully make the move from a purely online retailer, to a brick and mortar one. 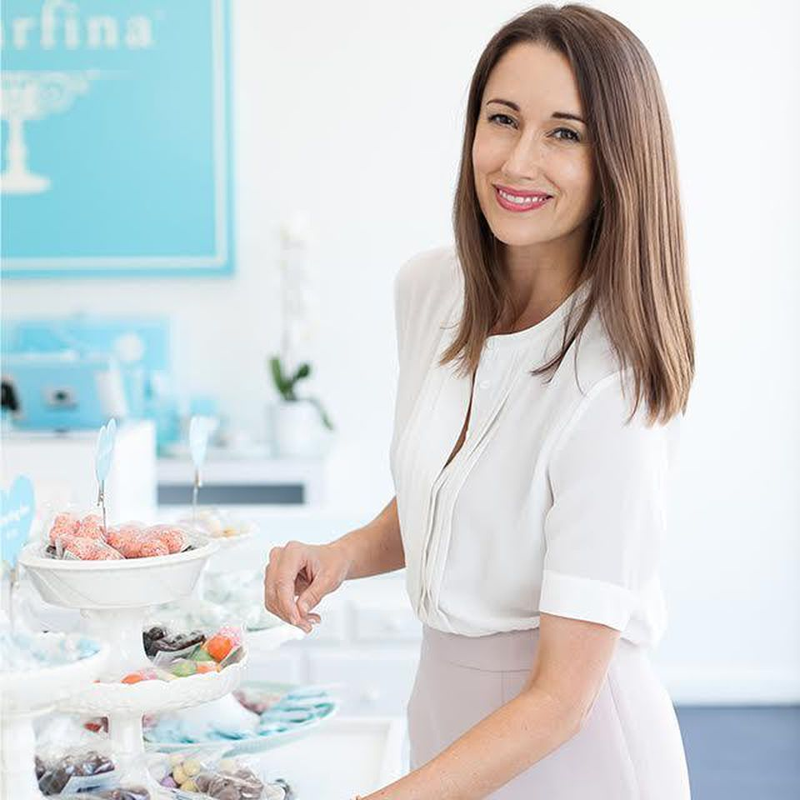 While an online store was necessary to prove the concept of an adult sweet shop, the plan, according to Sugarfina, was always to make the leap into trendy boutique stores. "My cofounder took me to see Willy Wonka & the Chocolate Factory on our third date," said Sugarfina Co-Founder and Chief Creative Officer, Rosie O'Neill. "After the movie, we became obsessed with the question: Where's the candy store for grownups? Why isn't there a place for people who love and appreciate beautiful, high-quality candies, presented in a fresh and modern way? Nothing like that existed in the United States, so we had the crazy idea to create it ourselves." The success in moving from clicks to bricks has come primarily from the company being able to build an excited and engaged audience of online fans first. This allowed Sugarfina to have a ready-made army of customers ready to pour into their brick and mortar location when the doors finally opened. 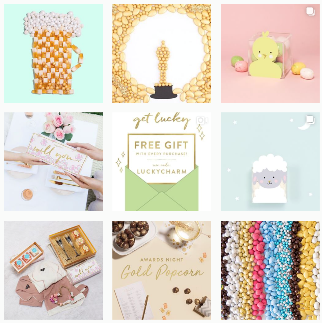 The online marketing success of Sugarfina has sprung mainly from its incredibly popular Instagram account. A significant proportion of Sugarfina's customers first encounter the brand on the photo-sharing social media platform. The company even has a full-time Instagram manager, whose responsibility is to build the Sugarfina account to new levels. "Every day presents a new challenge," said O'Neill. "That's why being an entrepreneur will stretch you like nothing else. You're constantly being challenged! Sugarfina has been growing really fast, more than triple every year. But growth is both a blessing and a curse. Growth is hard. Things break and go wrong all the time. So, figuring out how to grow while keeping your brand, your product, your people and your culture intact is really hard. I'm not going to say I've figured it out, but it's something I work to improve every day." The company also builds their social media success with partnerships and collaborations with other trendy brands, including one with fruit drink producers, Pressed Juicery. It started as an April Fool's joke when Sugarfina pretended to launch green juice gummy bears. The response to the prank was so good, people were sending requests where they could get them. Sugarfina decided they needed to bring them to life and teamed with Pressed Juicery to develop the recipe. They finished product is all-natural, non-GMO, fat-free, contains 20% of daily Vitamins A and C, and about 30% less sugar than regular gummi bears. Following the promotion, involving a tongue-in-cheek seven-day gummy bear "cleanse" - which featured seven shot bottles of the product - the new gummy bears sold out online within three hours and had over 2,000 people on the waiting list for the next run. This spirit has continued into 2018 with the announcement that Sugarfina has partnered with Austin vodka distillery Tito's Handmade Vodka, to bring 5% ABV liquor infused sweets to market. "As craft vodka lovers, we're excited to partner with our all-time favorite vodka brand on this grown-up candy collection," O'Neill said in a statement. "We're best known for our artisan cocktail candies and these new vodka-infused treats perfectly round out our top shelf collection." With a smart combination of trendy boutique stores and digital marketing knowhow, Sugarfina has made the transition from bricks to clicks - and even blurred the lines between them. The final word goes to Rosie O'Neill. "As an entrepreneur, you're going to realize very quickly that there are many things you don't do well, and that's okay. Being a leader means being comfortable saying "I don't know" or hiring someone who knows way more than you in a particular area. Hire people who are smarter than you and empower them to do their best work." You can hear Sugarfina's Co-Founder and Chief Creative Officer Rosie O'Neill speak at eTail East 2018 this August at The Sheraton, Boston, MA.